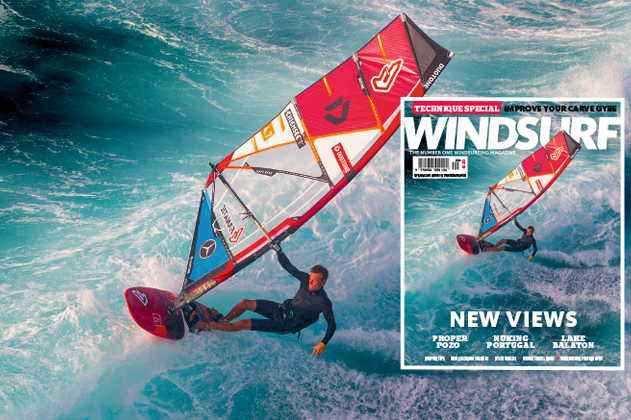 The September 2018 Issue of the world’s only monthly English language windsurfing magazine is out now! 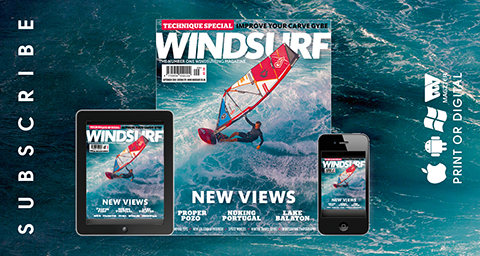 New Views – New Caledonia freeride, Improve your gybes with Peter Hart, Nuking Portugal PWA slalom, Lake Balaton – Hungary, 2018 Speed Worlds, Causeway Coast – Northern Ireland, Pozo PWA waves, Windsurfing photographer interviews, Pro windsurfers debate tattoos, Jem Hall’s jumping tips, Winter travel guide. 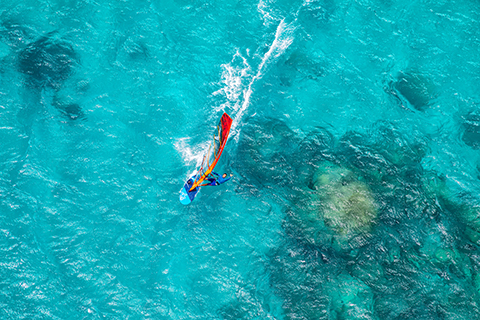 1600km of outer reefs circle New Caledonia, giving the largest lagoon in the world. John Carter and a selection of lucky pros test the waters. 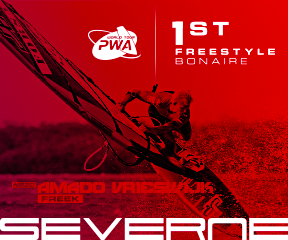 The PWA slalom fleet report on a spectacular inaugural race at Viana do Castelo, Portugal, with breaking waves and nuking Nortada winds providing a stiff test. 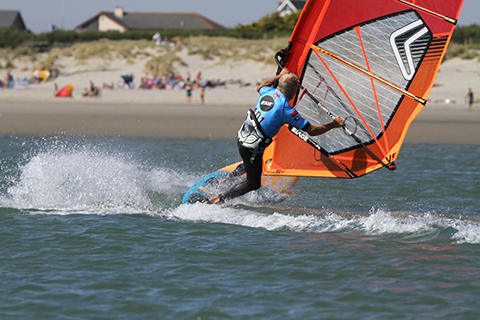 John Carter interviews four of his master windsurfing lensmen peers, Englishman Si Crowther, French shooters Jerome Houyvet and Pierrre Bouras and finally American Jimmie Hepp. 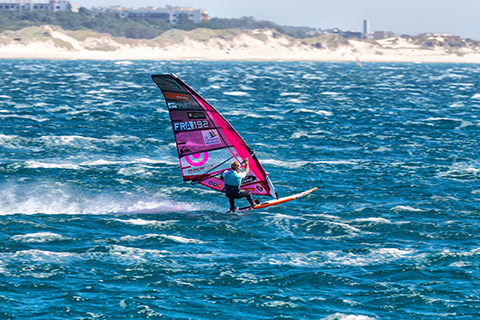 The top pros recount the 30th anniversary of windsurfing competition at Pozo, marked appropriately with seven days of proper Pozo heats on sub 4-metre sails. 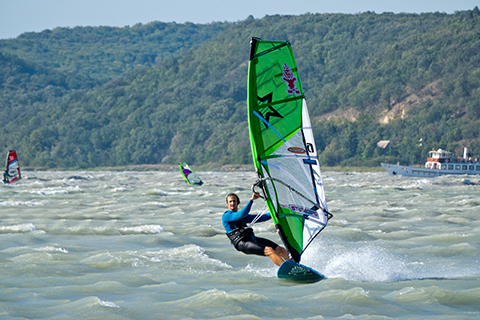 Chris Pressler explores Lake Balaton, a freshwater lake in west Hungary and the largest lake in Central Europe, discovering a spot full of freeride potential. 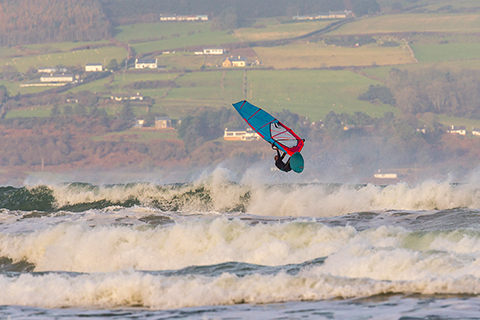 At the northwestern end of Northern Ireland’s coastline is a wavesailing jewel – Benone. 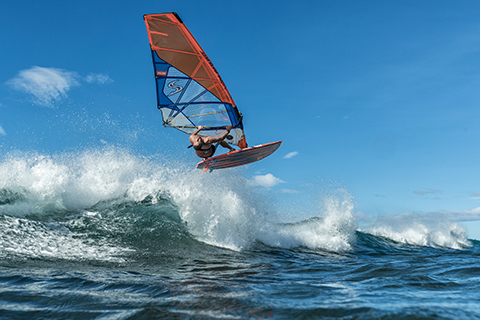 Timo Mullen talks us through the spot and his last session there. 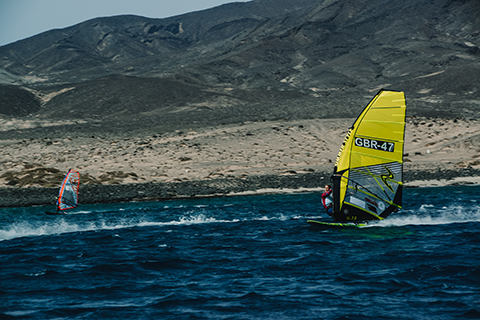 Pete Davis and Andy Laufer report from the 2018 ISWC Speed World Championships in Fuerteventura and Zara Davis gives her tips for getting into speed sailing. Forget Brexit, the real debate is on body art! 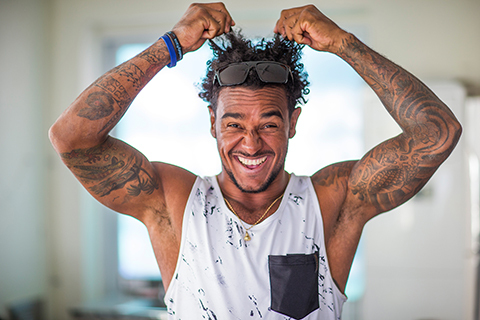 John Carter discovers who is in and who is out amongst the trend for tattoos in windsurfing. Gybing guru Peter Hart describes how relatively simple changes of habit, like adjusting the height of your stance, can improve your gybes, especially in chop. Jem looks at the various aspects of jumping, with tips and strategies for different conditions, fault analysis and the motivating factors for making your first flights. 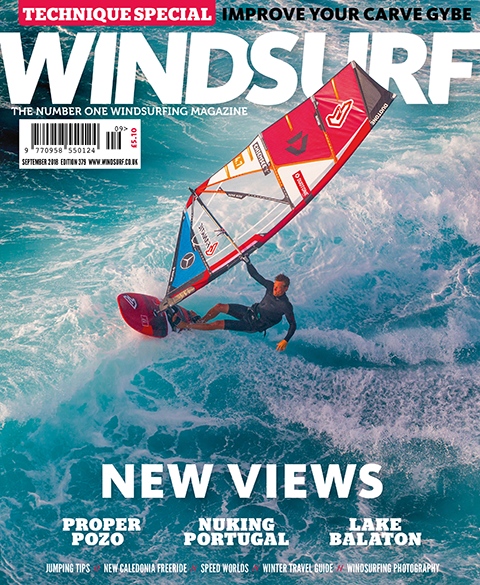 Carefully decoded, dangerously procured and knowingly leaked in the interests of global security, this is windsurfing’s latest and greatest news. 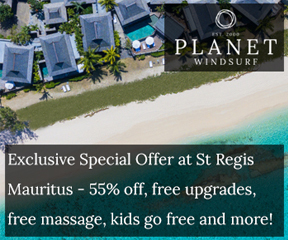 Jane Faughnan from Sportif Travel and Marcus Bull from Planet Windsurf pick their favourite winter getaways and we provide micro-guides to a selection of windsurfing hotspots. Seeking new waters to explore? 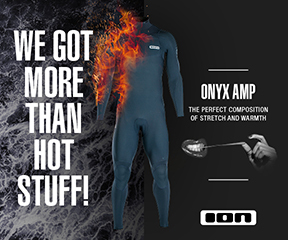 Don’t bring back more than you bargained for! The RYA explain the ‘Check, Clean, Dry’ initiative to help stop the spread of invasive species and diseases. 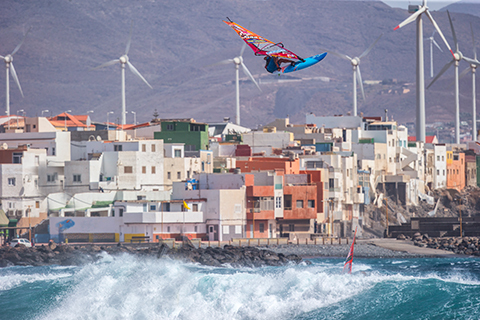 The editor muses on some new perspectives in windsurfing. 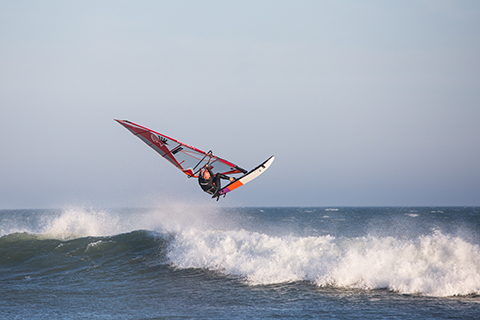 To be happy in our sport, you have to embrace the unpredictable explains Peter Hart.